With Pride month in full effect, there’s so much LGBTQ history to be celebrated in the Bay Area. In that spirit, restaurants and eateries all over the city are channeling that history into delicious concoctions for Pride revelers to enjoy. As rainbow flags dot the lines of many of the streets in the city, it's clear that June is here and Pride month is in full swing! June was chosen as Pride month to commemorate the Stonewall Riots in New York City that ended in June 1969. Soon after, LGBTQ havens like San Francisco followed suit, organizing parades, creating publications, and launching other efforts to advocate for LGBTQ rights and visibility. Staging "Gay-ins" (which would ultimately evolve into San Francisco Pride), San Francisco was instrumental in many of the west coast's gay rights advocacy movements, giving way to figures such as Harvey Milk, Anne Kronenburg, and Gilbert Baker. 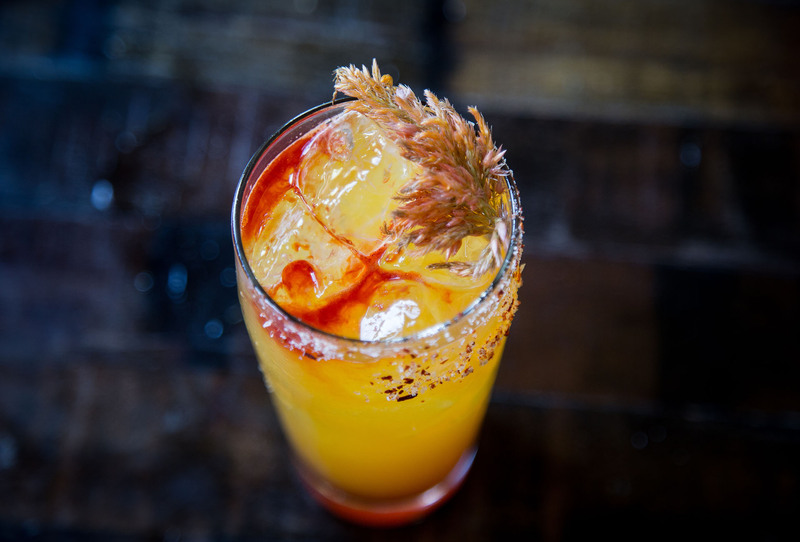 With such a rich history rooted in the LGBTQ movement and with a city culture that is still currently so deeply embedded in it, it's no surprise that beyond the many city celebrations, parades, and parties, that chefs and restaurant owners all over the Bay are celebrating Pride month in a way they know best: through food and drink! Below are some of the best ways to literally take Pride in--whether that's through a masterfully crafted cocktail, a perfectly baked confection, or in an eye-opening conversation over a tasty meal. And just like Pride, the offerings below only come around once a year, so take a bite, sip, and seat before you have to wait all year for it to come around again! 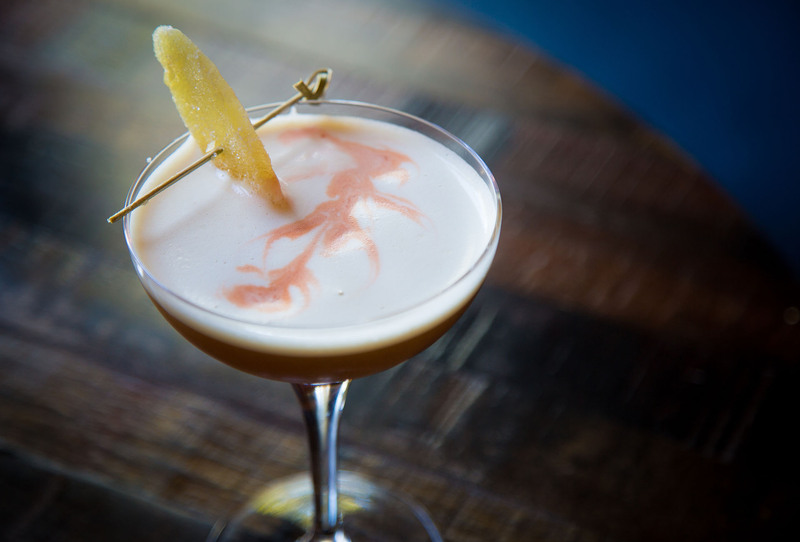 The Castro is likely where most will be naturally flocking to to enjoy Pride festivities, and thankfully, they won’t need to travel far to enjoy Finn Town’s special Pride month cocktail menu. 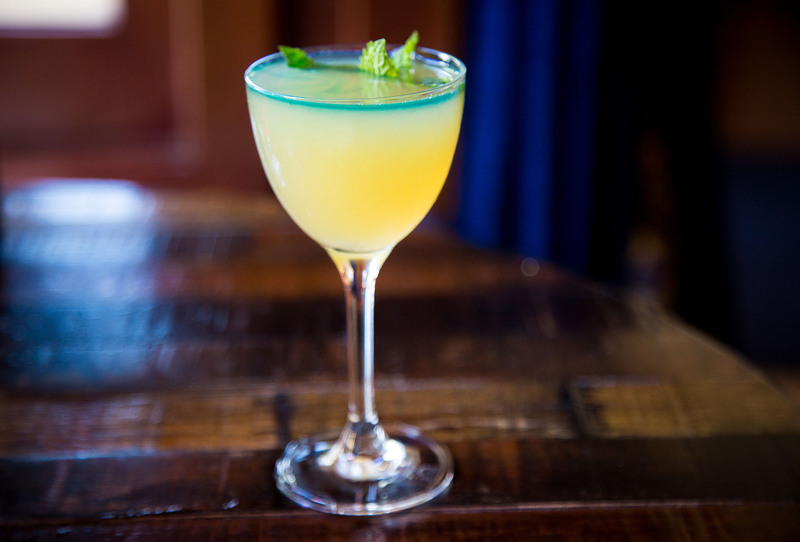 It's being called the "All You Need is Love" menu and features never-before-seen cocktails that are inspired by and named after prominent San Franciscan LGBTQ figures, from activists like Cleve Jones (who created the NAMES Project AIDS Memorial Quilt and is the cofounder of the San Francisco AIDS Foundation), to performers and spokeswoman Donna Sachet. There will be seven cocktails in total, each with a different spirit to strike any person's fancy. And while the drinks will be served during all of Pride month, Finn Town will also be hosting a couple of events during Pride Weekend (June 23-24). On both days, there will be Pink Brunch and Rainbow Brunch respectively, where brunch will be served all day, alongside the All You Need is Love cocktail menu. 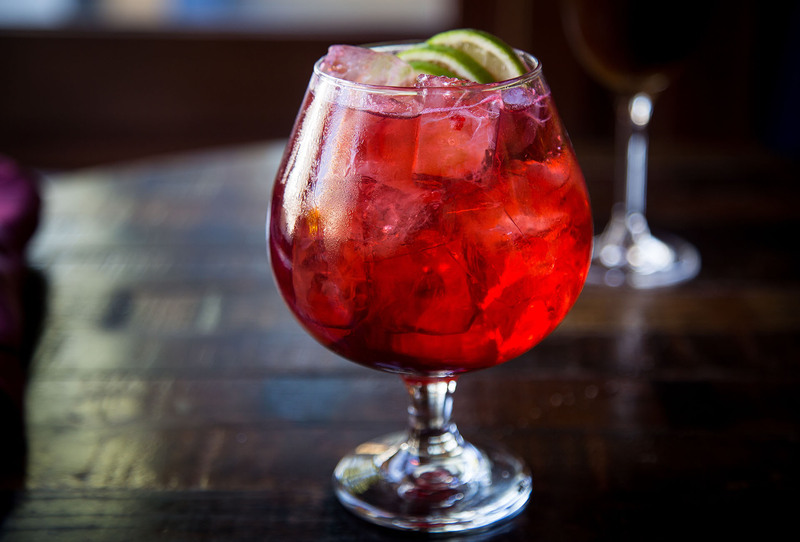 Ahead of that, on June 22, Finn Town will also go through a bit of a transformation and become "Club Finn," which is being described as a "classy not trashy" Pride celebration with a red carpet, photographers, their signature Pride cocktails, and Jello shots. 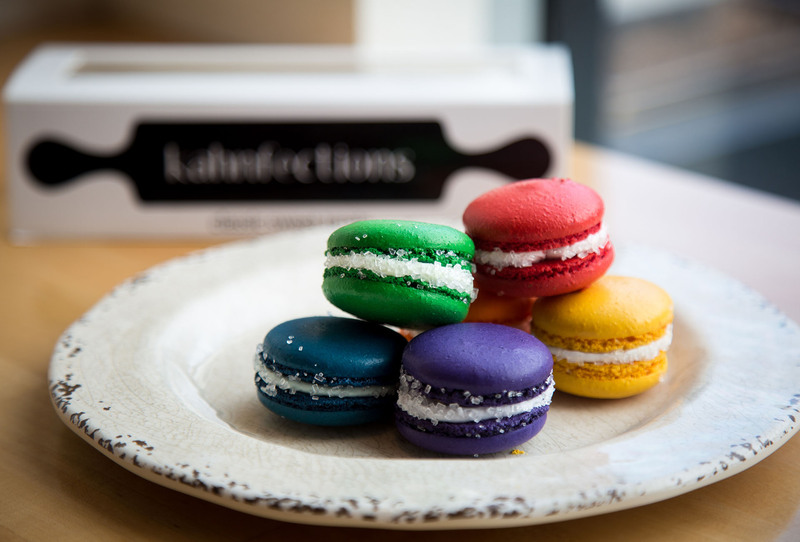 Neighborhood bakery, Kahnfections, is typically known for its array of tasty pastries (grab a scone, biscuit, or croissant next time you're there), so it's not a huge surprise that Kahnfections has unveiled an equally as tasty baked good for Pride. 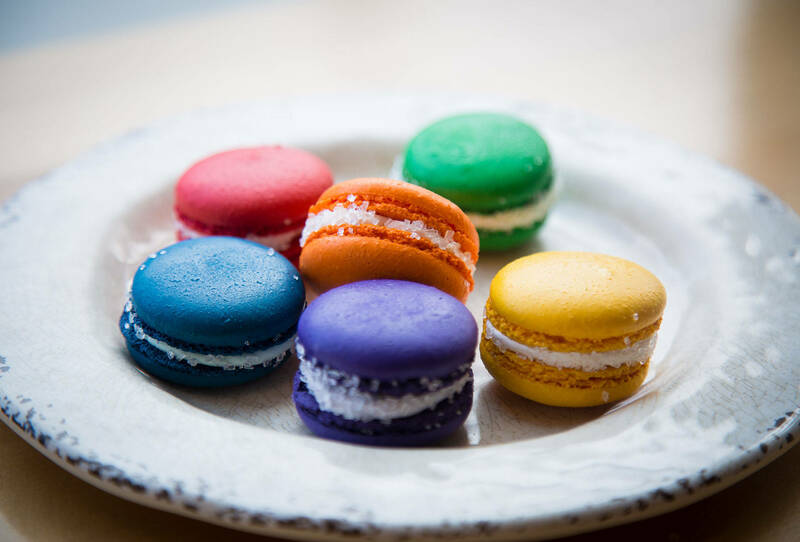 Available all month long are Kahnfections' "Pride-themed Macarons," which come in a set of six macarons, representing the colors of the rainbow. All six macarons can come in a boozy or non-boozy variety. Since Pride is a celebration, though, the cocktail-ed macarons are highly recommended. Flavors include midori sour, pina colada, bellini, and strawberry daiquiri, while the virgin macarons include earl grey, cassis, peach, and strawberry. Both versions’ macarons are brightly colored and studded with sugar, adding a nice little crunch to each bite! The macarons can be ordered via a special link on the Kahnfections website for $12 and are only available as an advanced order and can only be picked up in their Mission-based shop. 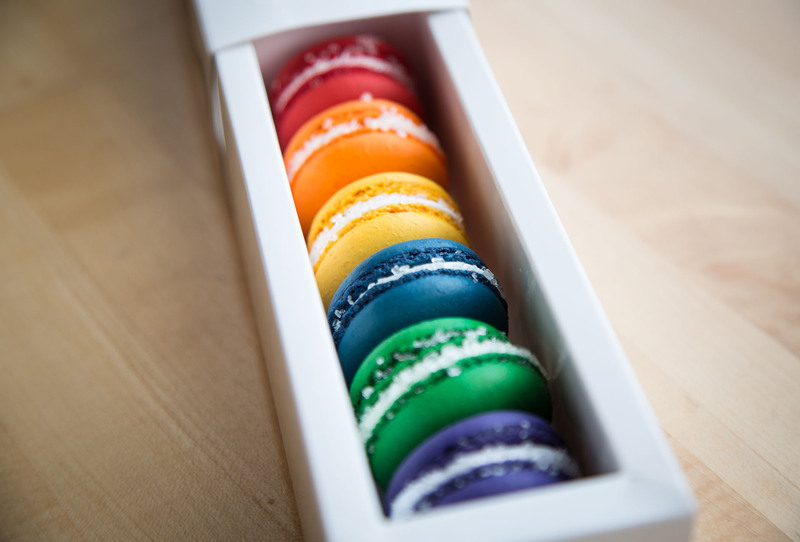 While Kahnfections' typical offerings aren't Pride-related, picking up your Pride macarons is the perfect opportunity to peruse the display case and check out the wide variety of sugary goodies to give you a little more pep in your step for the month's Pride festivities. 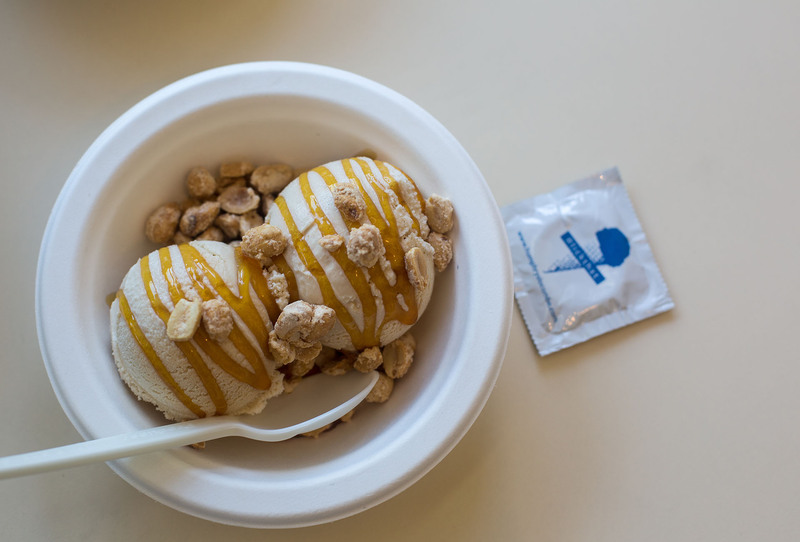 Steel your belly, as Humphry Slocombe is coming at you with a triple threat of Pride goodies! 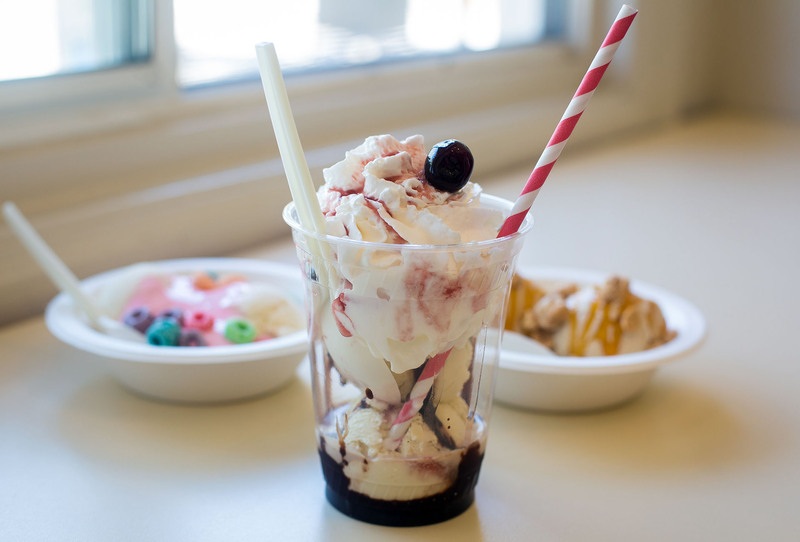 The ice cream shop, which serves a year-round flavor dedicated to Harvey Milk already in their Harvey Milk & Honey, will be serving three Pride-only sundaes to really make sure your sweet tooth is satisfied. 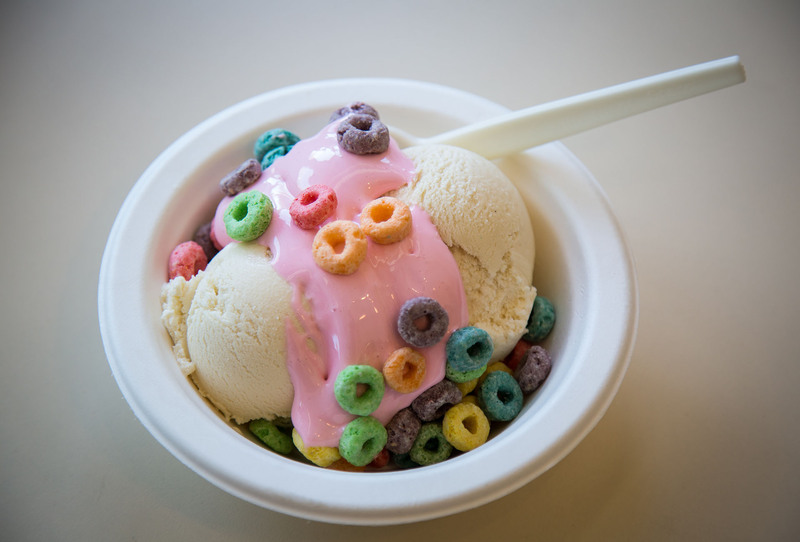 First is the Make it Gay Sundae, served with your choice of ice cream (recommended is the vanilla or Harvey Milk & Honey), house-made bright pink marshmallow fluff, and Fruit Loops cereal. The fluff is the real stand-out in this sundae, adding a nice salty (and very pink) note to balance out the sweetness of the cereal and ice cream. 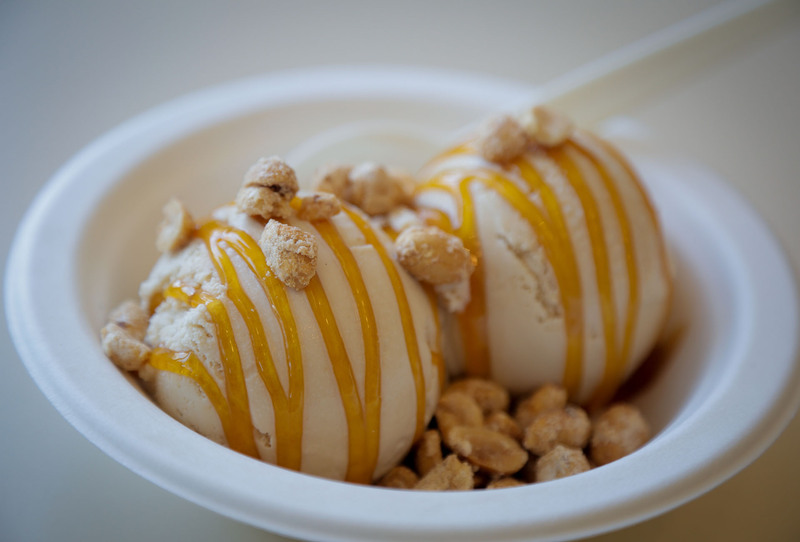 Second is the Who's Your Daddy Sundae, made up of a beer ice cream (made with Anchor Coffee Porter), topped with bourbon caramel sauce, and frosted peanuts (which you could probably eat a whole jar of easily). Imagine a night out with Daddy (we'll let you interpret that however you want) with a nice cold beer and bar nuts. Finally, it's the Hot Mess Sundae, which is vanilla ice cream with marshmallow fluff, banana, and butterscotch, topped with a single cherry. There's a lot going on, but like any hot mess, is still very much lovable. 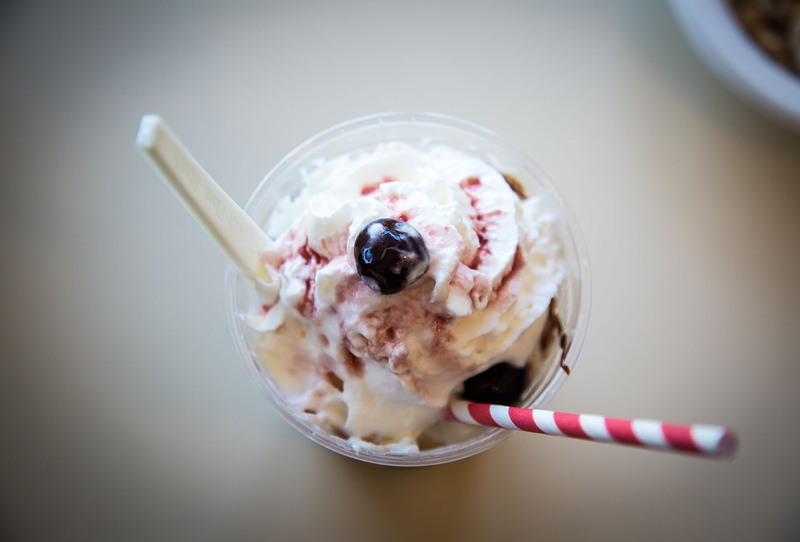 Each sundae is between $8 and $9 and will be available at their shop in the Mission. And while you’re there, be sure to ask for one of their Humphry Slocombe condoms! No stranger to inventive flavors, Dynamo Donut will be offering a special Pride donut to join its already delicious donut ranks. This year, their Pride donut is called Very Berry Pride and is a blueberry and strawberry donut (the berries are baked into the donut itself; just take a bite to see the proof). 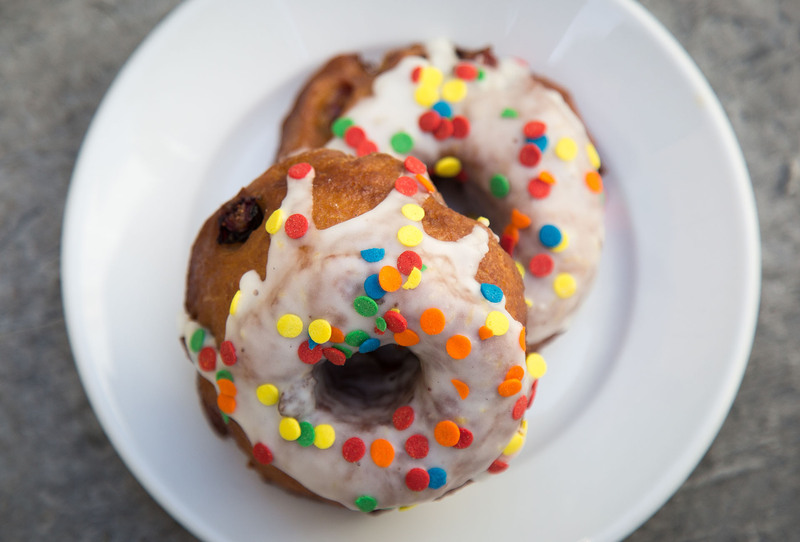 The donut is then topped with a generous amount of champagne glaze, just to add a little more decadence. 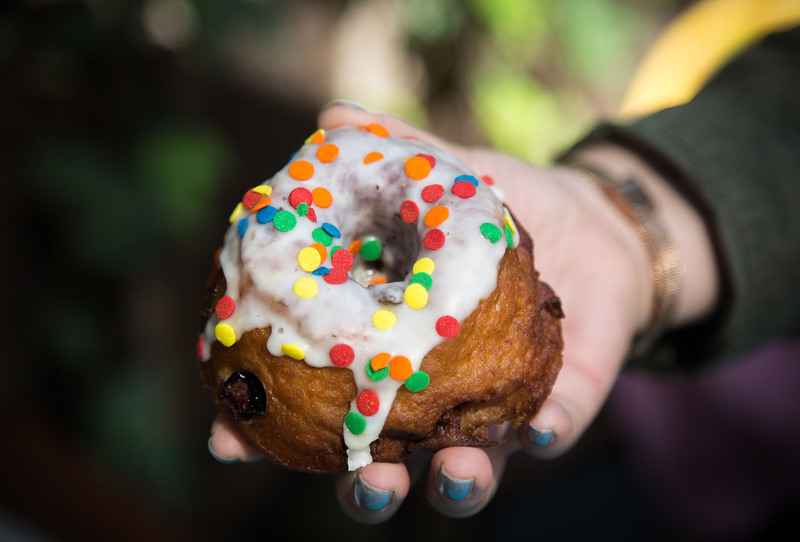 The Very Berry Pride Donuts will only be sold Friday June 22 through Sunday June 24 ($3.50 each), but like any of their donuts, they do sell fast, so it’s recommended you get there earlier during their opening hours to snag yourself one (or two or three) of these ringed beauties. And while you're at it, explore the other monthly special flavors, which include Strawberry Earl Grey, Lemon Meringue, and Pineapple Basil. These will also cost you $3.50. Word also has it that Dynamo has some exciting partnership flavors in the works, so post-Pride, keep your eyes peeled and get your stomach ready. All that glitters is not gold, and in this case, it's actually cheese. Rainbow-colored cheese to be exact. The cheese connoisseurs at The Melt are serving up what they're calling the "Magic Melt." The Magic Melt is a grilled cheese sandwich stuffed with a delectable blend of cheddar, fontina, and muenster cheeses that have been transformed into a very ooey-gooey rainbow. 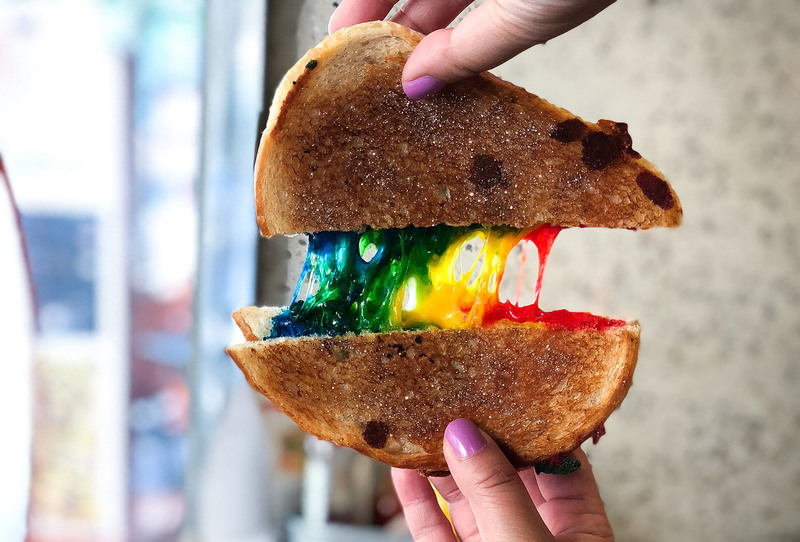 And as if multi-colored cheese wasn't enough to celebrate Pride with, The Melt magicians have also added edible glitter (so you can add a little sparkle to your insides as well). And while you're getting your dose of cheesiness, you'll also be aiding in a really good cause. For every Magic Melt sandwich sold, one dollar will be donated to Equality California, an activism and advocacy group that fights for more LGBTQ rights and visibility. 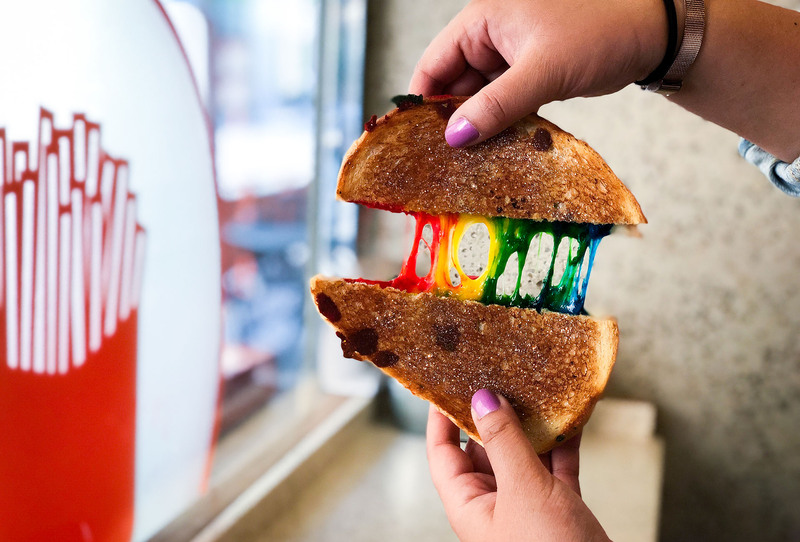 The Magic Melt will be available at both San Francisco Melt locations for all of Pride month; the Melt location located on Market Street will be selling the sandwiches during the Pride parade if you need something to fuel that day's festivities. One Market: For the entire month of June, One Market is offering a Pride milkshake called the Harvey Milkshake, as well as a special Pride cocktail called Friends of Dorothy. A dollar from both drinks will be donated to the Richmond Ermet AIDS Foundation (REAF). Hakkasan: Hakkasan will also be serving a special Pride cocktail called the Escape to Paradise, a tropical rum-based drink. The Escape to Paradise will also only be available during Pride Week. 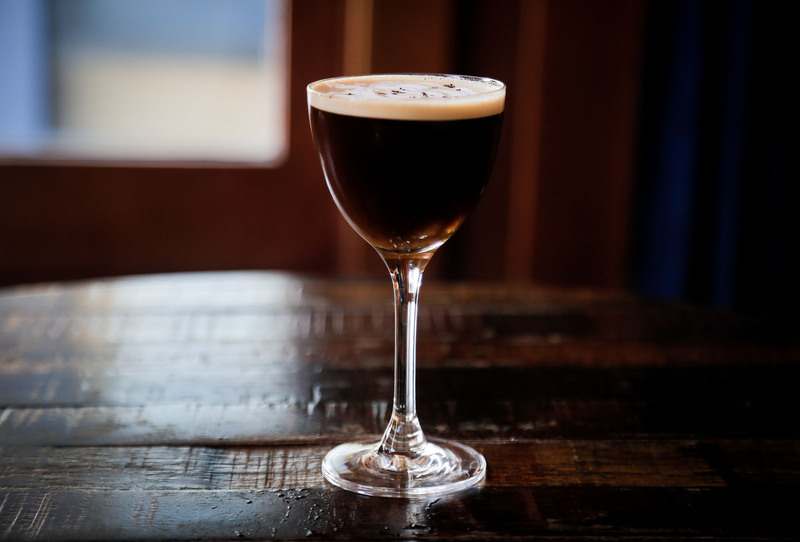 Bluestem Brasserie: On San Francisco Pride, June 24, Bluestem Brasserie will host a Pride Party on its rooftop terrace overlooking Market Street at 10am, in time to see the Pride Parade itself. 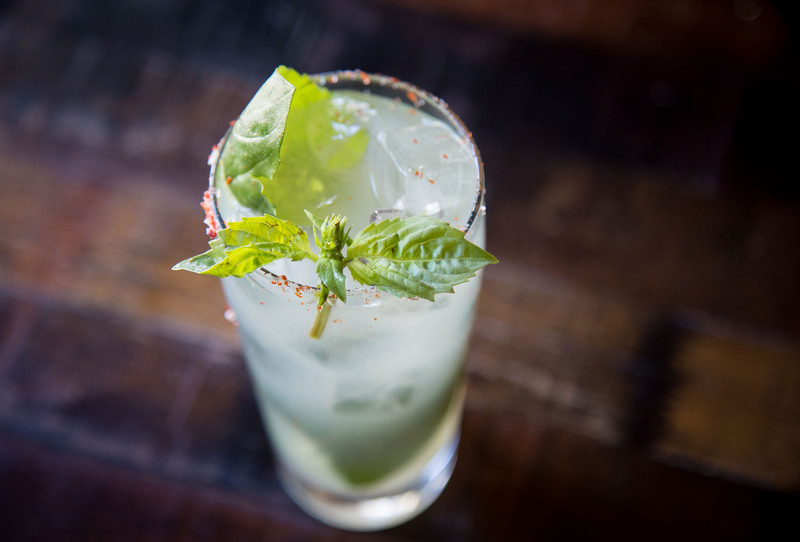 Tickets are $45 and will feature a cocktail called the Green Lantern--named for the gay comic book superhero. Smitten Ice Cream: Head to any Bay Area Smitten Ice Cream shop and pick up a commemorative “Smitten is Smitten” Pride pin--one dollar from every sale will be donated to the SF LGBT Center. If you happen to travel to Los Angeles for Pride month, a dollar from each pin sale there will be donated to the LA LGBT Center.